Born: July 15, 1926, Elkhart, Morton, Kansas. Married: Robert Blackwell Docking, June 17, 1950, Kansas City, Missouri. Died: October 27, 2004, Lawrence, Douglas, Kansas. The daughter of George Russell and Irene (Griffith) Gear, Meredith Marina Gear was born July 15, 1926, in Elkhart, Kansas. She grew up in Elkhart and Guymon, Oklahoma, before attending the University of Kansas where she earned a degree in business in 1947. She married Robert B. Docking on June 17, 1950. They had two sons, William R and Thomas R Docking. 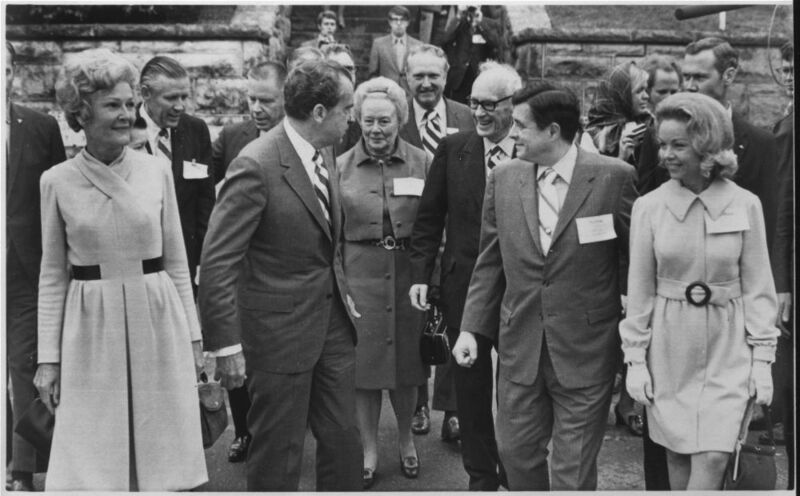 When her husband was elected the 38th governor of Kansas in 1966, she became First Lady, serving from 1967 to 1975. She established the Docking Faculty Scholar Program at the University of Kansas and was a member of Mount Oread Society, Outlook Society, and Kansas University Alumni Association. Known for her fondness of roses, she was involved in a number of beautification efforts in Arkansas City and Lawrence. A pink rose was created in her name. She died October 27, 2004, in Lawrence, Kansas.